Massachusetts first-time home buyers made up 39 percent of all home buyers, higher than the 33 percent of home buyers on the national level, but lower than the historical norm of 40 percent, according to a report released by the Massachusetts Association of Realtors. • The number of first-time home buyers in Massachusetts was the fewest in 12 years. • Eleven percent of Massachusetts home buyers purchased a multi-generational home due to children 18 or older moving back into the house, cost savings and health of and caring for aging parents. Nationally, 13 percent of home buyers purchased a multi-generational home. • The "typical" Massachusetts home buyer was 41 years old, and the typical first-time home buyer was 31 years old. The typical repeat buyer was 49 years old. Nationally the typical buyer was 44 years old, first-time buyers were 31 years old, and repeat home buyers were typically 53 years old. • The 2013 (most recent available data) median income for all Massachusetts home buyers was $107,400 It was the same for repeat home buyers. First-time home buyers in the Bay State had a median income of $100,400. Nationally first-time buyers had a median income of $68,300. All buyers nationally had a median income of $84,500, while repeat buyers made $95,000. • Married couples made up 63 percent of Massachusetts home buyers. Nationally 65 percent were married. • Sixteen percent of home purchases nationally were for new homes. Not surprisingly, only 8 percent of home purchases in Massachusetts were new construction. • The typical Massachusetts home purchased was 1,700 square feet, built in 1963 and had three bedrooms and two bathrooms. Nationally homes had 1,870 square feet, three bedrooms, two bathrooms and were built in 1993. • Seventy-two percent of home buyers bought a detached single-family house in Massachusetts. Nationally 79 percent bought a detached single-family home. • Commuting costs were considered at least somewhat important to 73 of Massachusetts home buyers and 70 percent of buyers nationally. • Heating and cooling costs were at least somewhat important to 86 percent of home buyers nationally and 93 percent of Massachusetts home buyers. • Fourteen percent of Massachusetts home buyers started the home-buying process by looking online for information about the home-buying process, and 49 percent started by looking at properties online. Nationally it was 43 percent for properties and 12 percent for information. • In Massachusetts 94 percent of home buyers used the Internet in some way for their home search, while 53 percent used a mobile Web site or application in their home search. Nationally 92 percent used the Internet and 50 percent used a mobile Web site or mobile application. • The typical home buyer searched for 10 weeks nationally and viewed 10 homes. In Massachusetts it typically took 16 weeks, and home buyers viewed 10 homes. 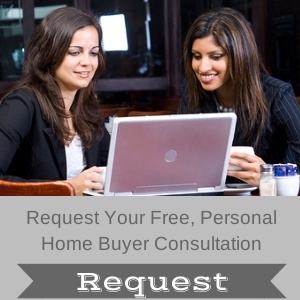 • In Massachusetts 89 percent of buyers were satisfied with the home-buying process. Nationally 90 percent were satisfied. • Ninety-seven percent of home buyers viewed real estate agents as a useful source of information while searching for a home. Nationally it was 98 percent of home buyers. 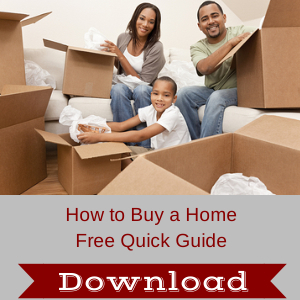 • In Massachusetts 91 percent of home buyers purchased their home through a real estate agent or broker. Nationally 88 percent of buyers purchased through a real estate agent or broker. 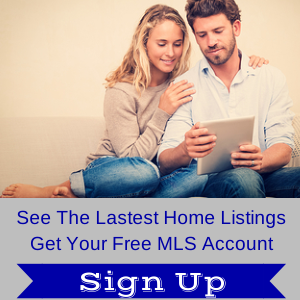 • In Massachusetts 66 percent of home buyers interviewed one agent before finding the agent they worked with. • Eighty-eight percent of Massachusetts home buyers would use their real estate buyer agent again. • Nationally 88 percent of home buyers financed their home purchase and 91 percent in Massachusetts. Among those who financed their home purchase, nationally buyers typically financed 90 percent of the cost of the home and 86 percent in Massachusetts. • The share of first-time buyers who financed their home purchase was 95 percent compared to 84 percent of repeat buyers. In Massachusetts 97 percent of first-time buyers and 87 percent of repeat buyers financed their home purchase. • Nationally 26 percent of buyers reported the mortgage application and approval process was somewhat more difficult than expected, and 30 percent of buyers reported the same thing in Massachusetts. Eighteen percent reported it was "much more difficult" than expected and 13 percent in Massachusetts. • Twelve percent of home buyers cited saving for a down payment as the most difficult task in the home-buying process. Among those buyers, 48 percent reported credit card debt, 44 percent reported student loan debt, and 36 percent reported car loans delayed them from saving for a down payment. In Massachusetts 19 percent of buyers cited saving for a down payment was difficult and 58 percent reported student loans, 37 percent reported credit card debt and 56 percent reported car loans as getting in the way of saving for a home. Topics: Real Estate Market, Massachusetts Association of Realtors, Real Estate Misc.